RoboJam is a machine-learning system for generating music that assists users of a touchscreen music app by performing responses to their short improvisations. 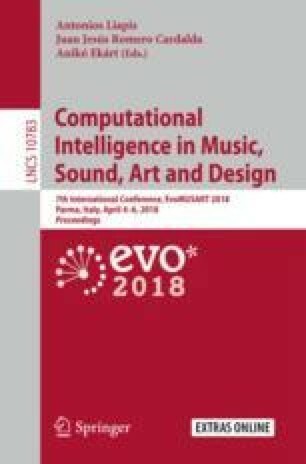 This system uses a recurrent artificial neural network to generate sequences of touchscreen interactions and absolute timings, rather than high-level musical notes. To accomplish this, RoboJam’s network uses a mixture density layer to predict appropriate touch interaction locations in space and time. In this paper, we describe the design and implementation of RoboJam’s network and how it has been integrated into a touchscreen music app. A preliminary evaluation analyses the system in terms of training, musical generation and user interaction. Supported by The Research Council of Norway as a part of the Engineering Predictability with Embodied Cognition (EPEC) project, under grant agreement 240862.